I've studied Polish mostly from reading and listening to books. The first book I ever read in Polish, was Harry Potter. 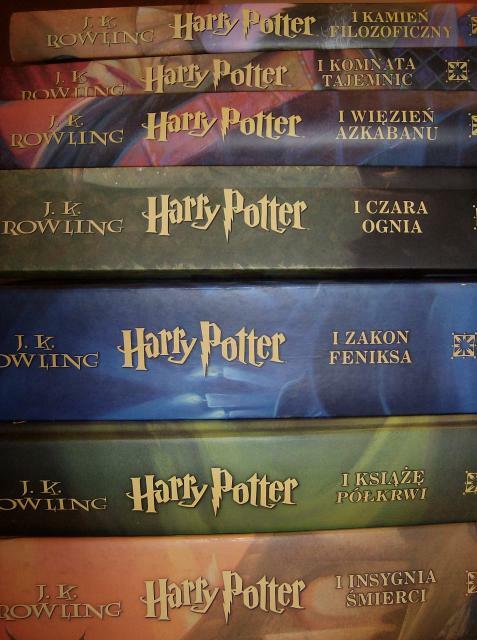 When I first started to read Harry Potter, I had only been learning Polish for about a year at the University. While I did enjoy that class (mostly because of the professor) it was basically all grammar, grammar and more grammar. At the end of that year, I couldn't really speak or understand Polish normally. I started reading the first Harry Potter book in January of 2008. It took me four months to finish it. Honestly, it was extremely difficult and took a lot of commitment. But after finishing that book, I really felt like I spoke Polish. My brain was able to produce and understand Polish automatically! While the first book took me four months, I managed to read all seven Harry Potter books before the end of that year! Each book was bigger and bigger, but I managed to read each one faster and faster. I read (or rather listened to) the last book in only a couple weeks. My learning accelerated exponentially. Read more to learn about the method I used!